How do I edit or delete an outcome group in an account? If you created an outcome group in your account that you need to edit or delete, you can do so as long as the outcomes in the group have not yet been used to assess a student. Once an outcome in the group has been used for scoring, you cannot delete the outcome group. You can still modify the details of the outcome group. You can delete an outcome group as long as it does not contain any outcomes that cannot be modified. Note: You can modify any outcomes or outcome groups where you have permission. In Account or Sub-Account Navigation, click the Outcomes link. Locate the outcome group you want to modify. 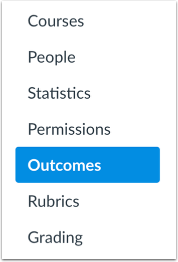 To edit an outcome group, click the Edit button . Editing an outcome group lets you change the outcome name and description as set when creating an account outcome group. To delete an outcome group, click the Delete button . Note: If you delete an outcome group and the outcome group generates an error, your outcome group contains an outcome that cannot be modified. Move the outcome to another outcome group, then try deleting the outcome group again. Previous Topic:How do I edit or delete an outcome in an account? 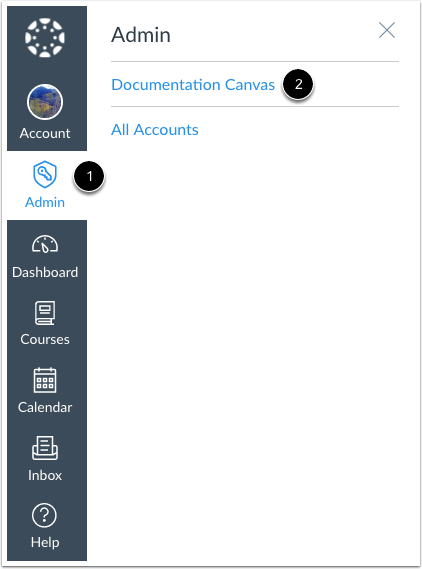 Next Topic:How do I create custom account outcome names for students? Table of Contents > Outcomes > How do I edit or delete an outcome group in an account?